Exploring the notion of “return” necessitates the adoption of a stereoscopic vision that navigates the complex terrain between two places – the extraterritorial space of refuge and the destroyed site of origins. 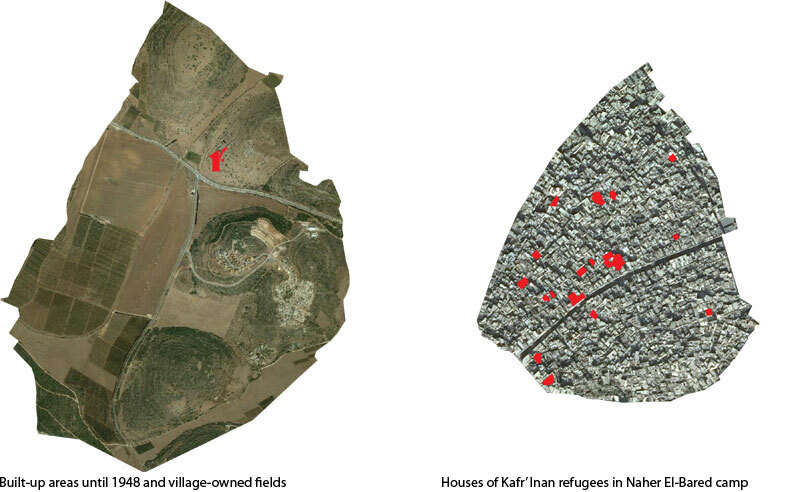 Both the demolished villages and the refugee camps are extraterritorial spaces, not fully integrated into the territories that surround them. The former is defined as “absentee property” and the latter as a “United Nations run area”, a sphere of action carved out of state sovereignty. Refugee life is suspended between these two sites, always double. 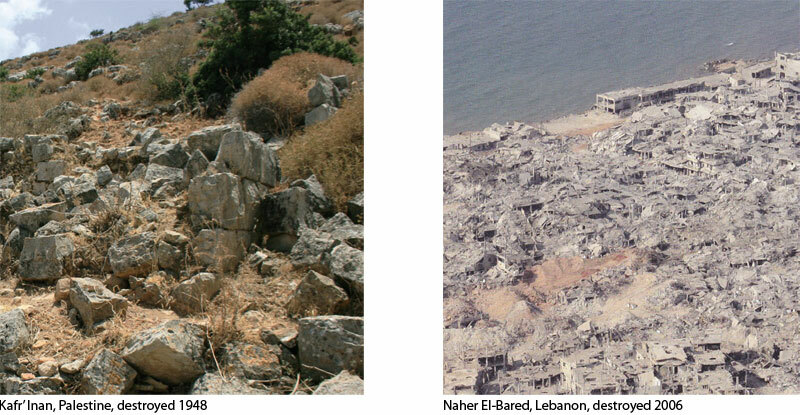 The destroyed village and the destroyed camp are two moments in a history of continuous destruction. But the destruction of the refugee camp does not simply mirror the destruction of the village – to destroy a camp is to destroy the already destroyed.